Sugarcane is a multipurpose crop primarily used to produce sugar, energy and bioethanol. It requires high amounts of N-fertilization for optimal growth, which increases production costs and environmental degradation. The contribution of biological nitrogen fixation to Uruguayan commercial sugarcane cultivars was demonstrated previously, and diazotrophic bacteria that were isolated from the stems were characterized and identified. 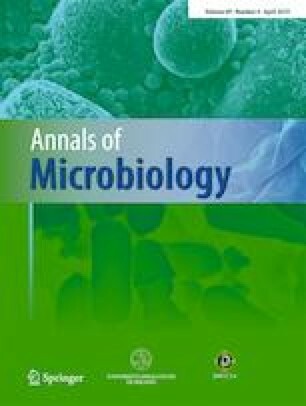 From this collection, the isolate UYSO10 related to the Kosakonia genus (formerly Enterobacter) was described as a plant growth-promoting endophyte of sugarcane plants. To evaluate the effect of the inoculation of wild-type and nitrogenase-deficient strains of Kosakonia sp. UYSO10 on sugarcane growth promotion under non-sterile conditions. Kosakonia sp. UYSO10 was inoculated onto sugarcane setts for plant growth promotion greenhouse experiments. Single and double mutants resulting to the nitrogenase-encoding genes (nifH, anfH) were constructed, and the phenotypes were evaluated in vitro and in vivo. Kosakonia sp. UYSO10 is able to promote sugarcane growth under non-sterile conditions, that strain UYSO10 harbors two functional nitrogenases and the inactivation of both nitrogenase-encoding genes diminish its capacity of promoting growth on sugarcane. All together, the results obtained showed that the biological nitrogen fixation ability of Kosakonia sp. UYSO10 is required for sugarcane growth promotion. The online version of this article ( https://doi.org/10.1007/s13213-019-01466-7) contains supplementary material, which is available to authorized users. This work was supported by grants from the Uruguayan Fund for the Promotion of Agricultural Technology (Fondo de Promoción de Tecnología Agropecuaria FPTA-275 and 331-INIA), the Uruguayan Program for the Development of the Basic Sciences (Programa de Desarrollo de las Ciencias Básicas-PEDECIBA), the Posgrade Academic Commission-UdelaR (Comisión Académica de Posgrado), and the Uruguayan National Agency for Innovation and Research (Agencia Nacional de Innovación e Investigación-ANII). The authors are very grateful to Ing. Agr. Fernando Hackembruch from the Agriculture Department of the Alcoholes Uruguay S.A.